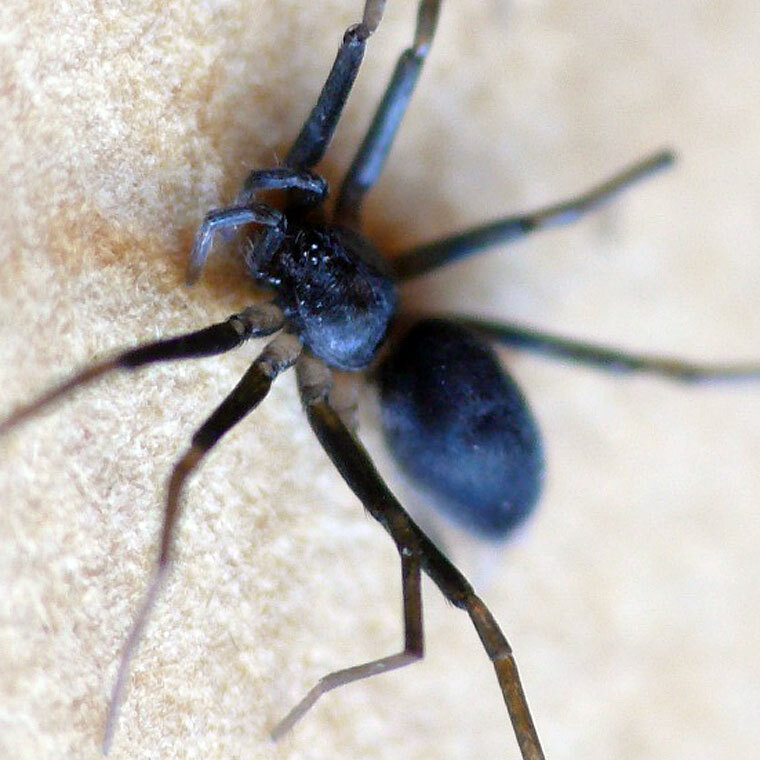 A Prodidomid, body length 3.5mm, found in leaf litter at The Gap. Probably Molycria sp., possibly Cryptoerithus sp. This spider is remarkable because it has a pair of grossly enlarged spinnerets attached half way along the underside of its abdomen and at least one normal pair at the end of the abdomen. 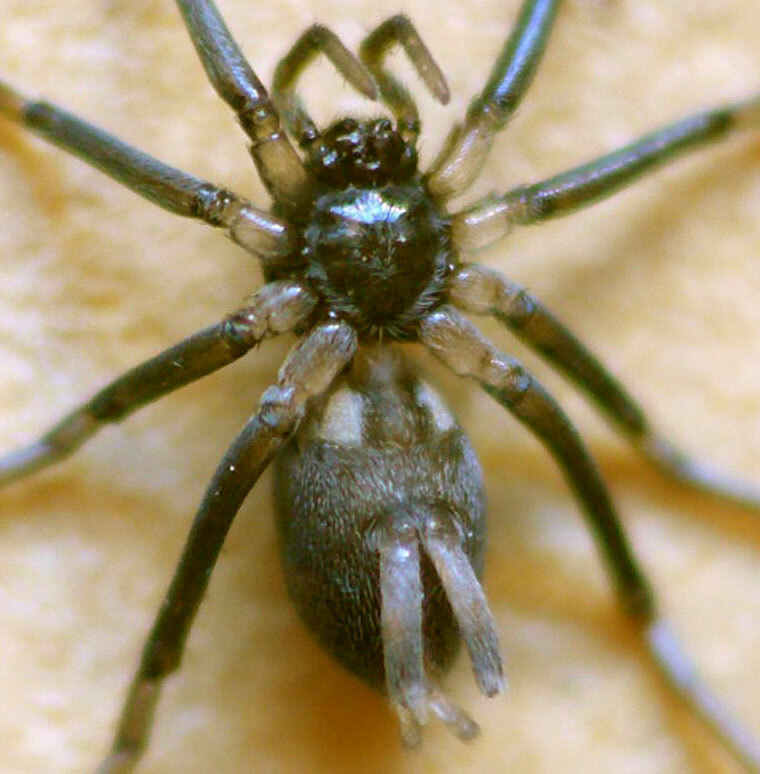 It is found it in leaf litter, not associated with any webbing.